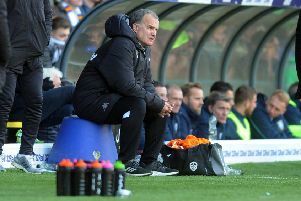 With all the activity at Elland Road over the summer months it does not seem that long since fans were saying goodbye to last season, but the new campaign is here again with Leeds United starting the long road to what they hope will be promotion this Sunday at Bolton Wanderers. With a new owner having fully taken over, a new head coach and coaching staff, 10 new players so far plus the prospect of more to come and even a new look promised for the famous old ground it really feels like a fresh start. And some of the old enthusiasm has clearly returned with record season ticket sales reported for a Championship season at Leeds. With that comes expectation and a certain pressure and head coach Thomas Christiansen is going to need a good start if he is avoid inevitable comparisons with last year’s boss Garry Monk and to prove chairman Andrew Radrizzani right in his choice of head coach. As a surprise selection and a name that had to be looked up when he was appointed Christiansen will have to work hard to win supporters over and the best way to do this will be to quickly win games. He has been backed by the owner who has funded the acquisition of so many players that Christiansen will have the strongest squad of any Leeds boss since they were relegated from the Premiership. Whether it will be the strongest team is open to question, however, as the new boys are largely unproven in the tough arena that the English Championship is. The success of the likes of Ezgjan Alioski, Samuel Saiz and Mateusz Kilch in providing more chances is going to be the key to whether the Whites find the necessary improvement to finish higher than their seventh place of last year. Then there is the question of whether United can hold to star asset Chris Wood until beyond the transfer deadline and if they do whether he can be as big a success as last year. Will star young midfielder Ronaldo Vieira avoid the dreaded second season syndrome? It certainly does not look any easier to earn promotion than last year either with competition looking like being just as fierce. Sheffield Wednesday, Reading and Fulham, who pipped Leeds to the play-off places last term, will all be expected to be up there again, while Wolves and Aston Villa are spending again in a bid to improve on their poor campaigns last time out. Then there are the teams relegated teams from the Premier, armed with the parachute money that allows them to spend far bigger than Leeds. Monk’s Middlesbrough, for instance, spent almost as much on one player – Britt Assombalonga – as Leeds have on all 10 of their signings. With six games in the first three weeks of the season the new head coach will quickly find out the ability of his team and it all starts on Sunday with an away game at Bolton Wanderers, followed by a first round Carabao Cup tie at home to Port Vale next Wednesday.